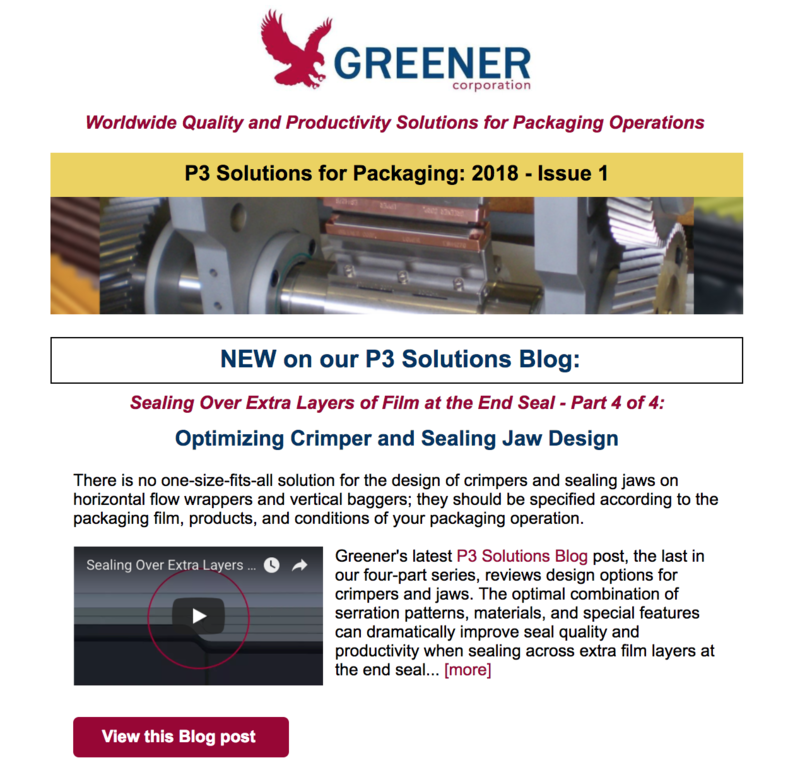 NEW P3 Solutions Blog post: Crimper and Sealing Jaw Design Options for Sealing Over Extra Layers of Film at the End Seal. . .
Have You Explored our NEW website?. . .